The Everescents Berry Blonde Organic Treatment is an intensive treatment designed for Blonde & Grey hair to reconstruct, nourish, tone & restore hair structure. 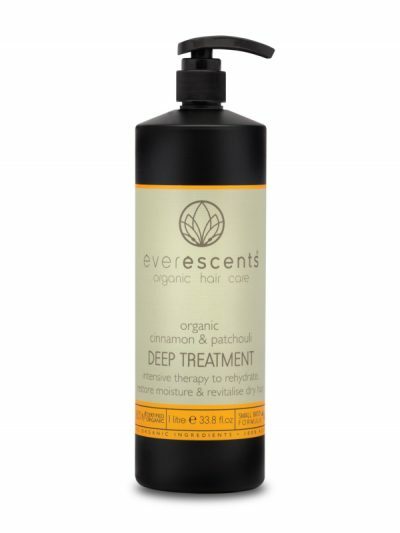 With the added benefits of Certified Organic Argan Oil, herbal extracts and essential oils sourced from the highest quality suppliers, it is perfect for healing hair affected by chemical processing and colour treatments. Apply after washing, comb through and leave in for up to 10 minutes (depending on needs), enjoy the aroma and then rinse out. Suitable for Blonde & Grey hair. 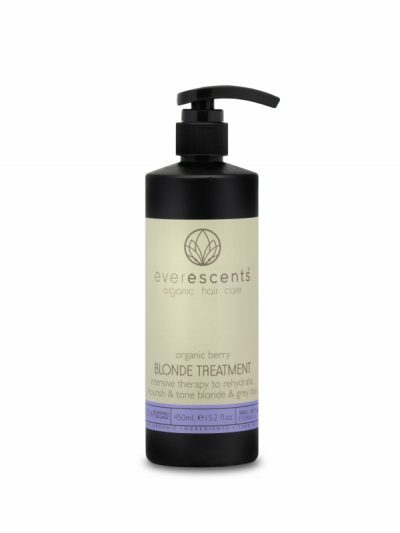 Aqua*** (Purified Water), Vegetable Glycerin*** (moisturiser), Cetearyl Alcohol*** (plant derived wax – detangling and thickening), Behentrimonium Methosulfate*** (mild detangling agent derived from canola), Cetyl Alcohol*** (plant derived emulsifier), Butylene Glycol*** (naturally derived humectant), Sorbitol*** (moisturiser), Argania Spinosa*** (Argan) Nut Oil, Rosmarinus Officinalis Leaf Extract* (Rosemary), Natural Mixed Berry Fragrance***, Sage Officinalis Leaf Extract* (Sage), Tilia Cordata Flower Extract* (Linden), Urtica Dioica Extract* (Nettle), Betula Alba Extract* (Birch), Heptyl Undecylenate** (natural castor oil emollient), Equisetum Arvense Leaf Extract* (Horsetail), Achillea Millefolium Extract* (Yarrow), ((Benzyl Alcohol**, Salicylic Acid**, Sorbic Acid**) EcoCert natural preservative), Sweet Potato Red*** (natural blackcurrant colour), Gardenia Blue*** (natural blue colour).